Nepal is best destinations in the world for Family holiday trip, City sightseeing tour, nature tour, adventure tour culture tours, jungle safari tour, white water rafting tour and hiking tour. You have a chance to visit and learn about world heritage sites, different religion, different culture, world of aged-old temples, we have many sports for sunrise and sunset view you meet friendly local people who loved and respect for tourist, our motto is Guest is Gods with Attentive Holiday Tours & Travel (P) Ltd. you’ll tour on stone, paths threading, perfect Himalaya region, float on a river raft through deep forest, Elephant back safari tour in Chitwan and Bardia National park. Why we Recommend Tour in Nepal? Nepal is perfect combination of very desirous white shinning Himalayan range in north, ripping natural scenery, sacred pilgrimage sites, fast flowing rivers from Himalayas, 123 different casts with different culture, habitat of more than 850 species. You will get a real chance to explore natural, cultural, historical beauty of Nepal through different tour packages in Nepal. You can choose appropriate packages from list in left menu or from below. Attentive holiday tours and travels is legal tour company in Nepal. We have experienced, qualified English speaking local travel guide who will going to make your holiday perfect with their experience. We are flexible for our clients, we make Nepal Tour itinerary as per the interest, time frame & budget of our clients. 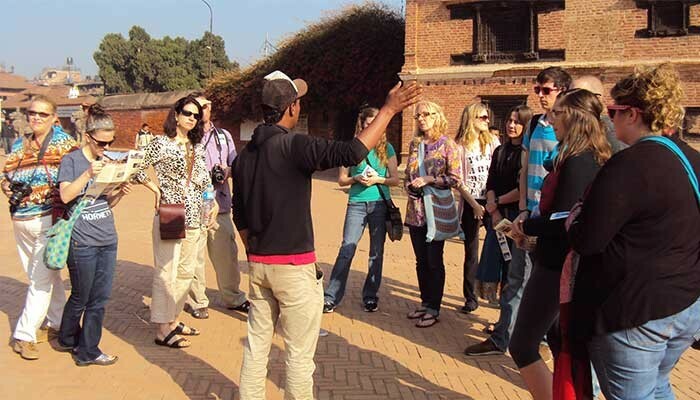 What is the group size required to join Nepal Tour packages? Generally group base two people upwards, but we will arrange packages for single person also. We have no upper limit but if you have big group you need to inform us earlier. We organize family tours as well. We have family tour package designed for 13 days but we can arrange custom family holiday tour package as per your time, desired destination, desired activities. How to organize or book Transport for Tour packages in Nepal? We also offers vehicle rental services in Nepal. We use new comfortable private cars, Jeep, Coaster, Hi-ace and buses in all destinations. Our drivers are well experienced, safety knowledge so perfect in safe driving. Can I make tour packages as per my destination and activities in Nepal? Yes, if you cannot find the perfect tour to suit your interest and time frame on our website, please let us know your specific needs and dates. Our travel desk executive will help to make custom tailor made travel package to suit your specific requirements and dates. Nepal is the best and Popular place for family holidays. Family unit traveling together can be extremely enjoyable and satisfying even with children of quite an early age in our mountain country with rich of Nature as well as your family have a good chance to learn Nepali family culture and living style too. We have thousands of holy sites in Nepal Living God Kumari, Pashupatinath Supreme God Shiva Temple, Manakamana Kali Temple From Mountain Muktinath, Damodar Kunda, Lumbini Gautam Buddha Place as well as Namobuddha Monestry Swyambhunath, Bouddha Nath, There is a lot of pilgrimage site in this holy land. 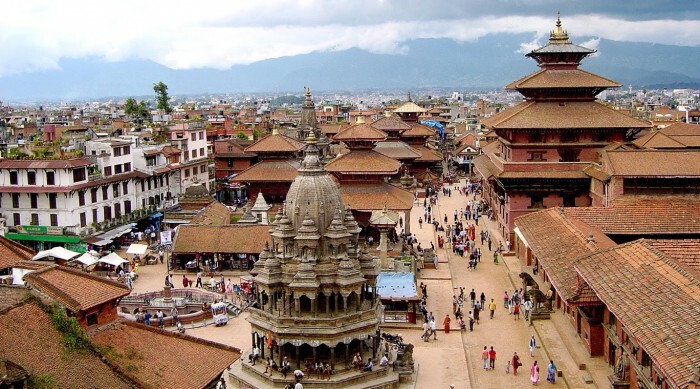 The Nepal has been really attractive destination for traveler those are more interested world heritage sites, city sightseeing tour, difference culture, and religion tradition The Kathmandu valley was three kingdoms Kathmandu, Patan, Bhaktapur also this valley have seven world heritage site listed. Nepal is the Natural beauties country's for adventure Paragliding, Hiking, honey hunting, we have various Caves, lakes, white water river, green plant, which are the inhabitant for varities of wildlifes and birds. The attractive tour package is the best package for overland tour and this package covers all major tourist historical, cultural, heritage, Temple, Mountain view, typical Nepali village, Pilgrimage, wildlife Safari.This charming Nepal tour itinerary including special sightseeing place for tourist like Kathmandu Nagarkot Pokhara, Chitwan Tansen Lumbini and Bardia you have a chance to learn every different place different religion and culture. In the world beauty full country's Nepal has many different kinds of tour package option for travelers who is not able to moving far distance you can choose an easy tour we make your program easy, safety and memorial for any age people, you will get a perfect package from us. It is said about Nepal that every that other structure is a holy shrine and every other day a festival. Well, if the number of annual festivals, both religious and national, is any indication, the saying couldn't be moretrue. Festivals are an essential part of Nepalese life that garner tremendous local participation. Festivals also offer visitors a valuable opportunity not only for having fun but gaining insight into various aspects of Nepalese culture. Copyright © 2015. All Rights Reserved at Attentive Holiday Tours & Travel Pvt Ltd.